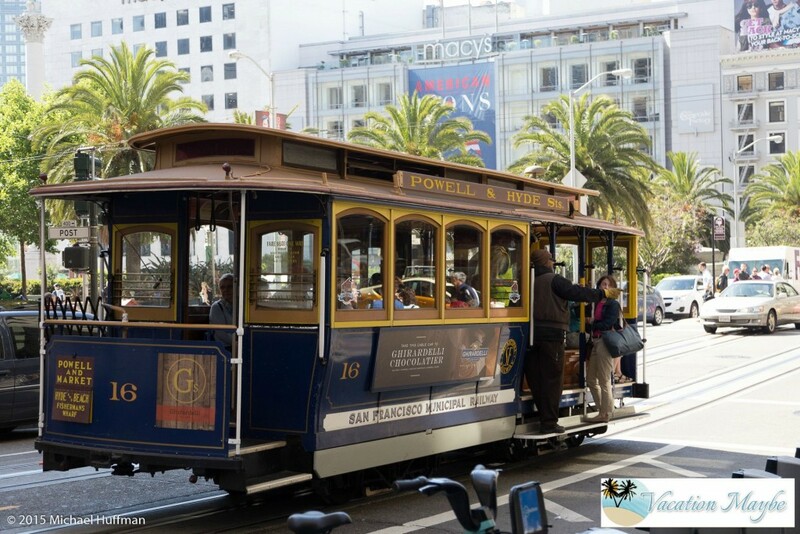 Most people know that when you visit San Francisco you can take a ride on an famous Cable Car up and down the streets of San Francisco, but what you may not know is that there is also a free museum open to the public at 1201 Mason Street. The history of San Francisco’s cable cars goes back to an early morning in 1873. When Andrew Smith Hallidie tested the fist one on August 23rd at 4 Am on Clay Street. Clay Street Railroad teamed up with Hallidie to form a transportation service using the cable cars and it was a tremendous success. At the height of the Cable Car use 53 miles of track were laid stretching from from the Ferry Building to the Presidio, to Golden Gate Park, to the Castro, to the Mission. In 1947 when the mayor tried to have all Cable Cars removed from San Francisco a measure 10 was created and passed. Saving this piece of history for generations to see. 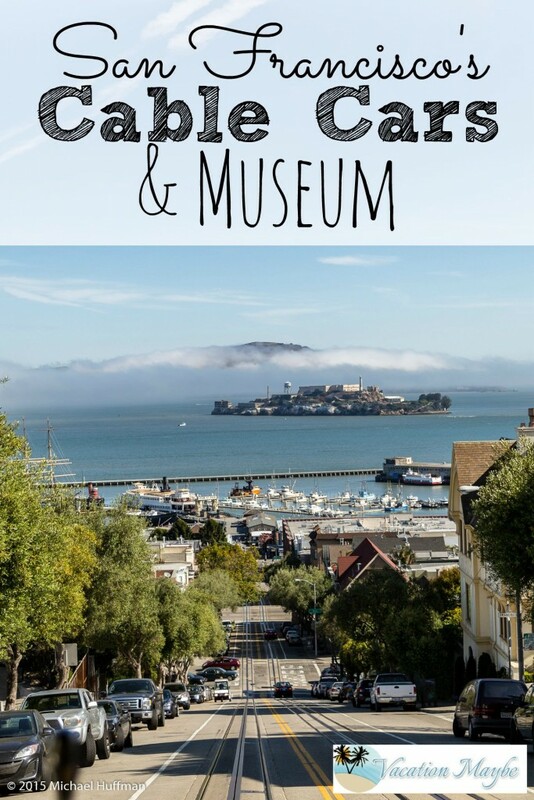 On our most recent trip to San Francisco we rode a Cable Car and stopped in at the museum to see the huge cable lines and pick up a trinket or two. To ride a Cable Car first you need to find one of the turn around spots, buy a ticket and wait in line. Early mornings are the best time to ride. The line we waited in was about 15 minutes, but as the day progresses lines can be well over an hour. There is also a possibility of getting a hop off and on pass that allows you to catch the cars as they move around the city streets and saves you the hassle of waiting in line. I was surprised how many locals used the cable car we rode on to jump on and off to get to work or other locations around the city. 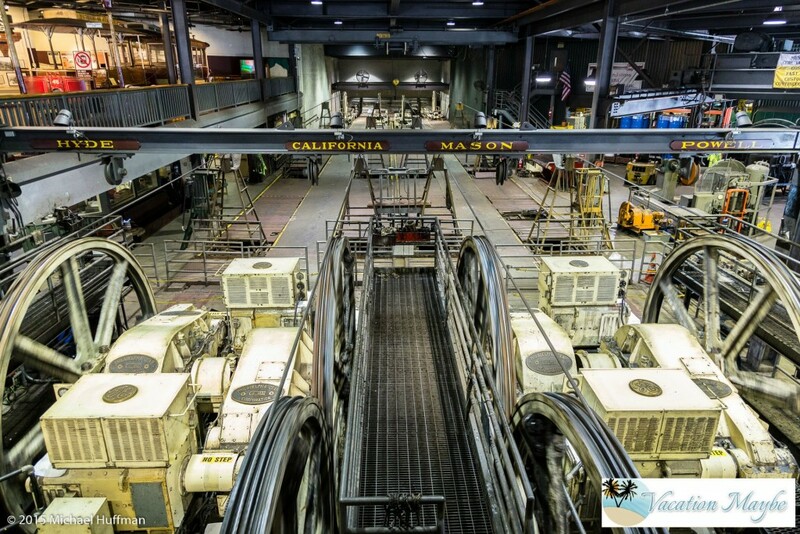 The Cable Car museum is located in the historic Washington/Mason cable car barn and powerhouse, the museum deck overlooks the huge engines and winding wheels that pull the cables. Take a short walk down the stairs to a viewing area of the large sheaves and cable line entering the building through the channel under the street. It is amazing to see how the cable cars work and the cables moving around the huge wheels in action. Besides seeing the cables in operation there is also various mechanical devices such as grips, track, cable, brake mechanisms, tools, detailed models, and a large collection of historic photograph on display. The museum also houses three antique cable cars from the 1870s. The Sutter Street Railway No. 46 grip car & No. 54 trailer and the only surviving car from the first cable car company, the Clay Street Hill Railroad No. 8 grip car. San Fransisco looks amazing! What a cool culture and history ???? I gave no idea how the ???? ?’s got there! !